Black chokeberry is an open, upright, spreading, somewhat rounded but leggy, deciduous shrub which typically grows 3-6′ (infrequently to 9′) tall. Features clusters of 5-petaled, white flowers in spring which are followed in early autumn by blackish purple, blueberry-sized fruits which usually do not persist into winter. 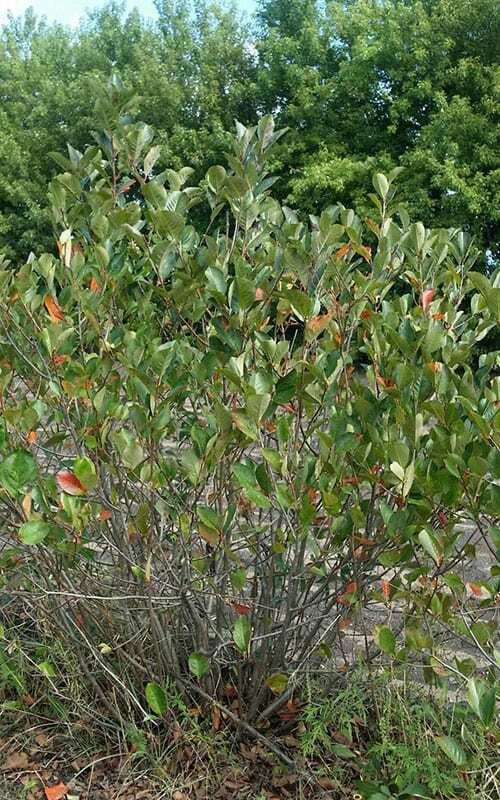 Lustrous, dark green foliage turns an attractive purplish red in autumn. Although technically edible, the fruits are extremely tart and bitter, and are not recommended for eating off the bush (hence the common name of chokeberry), but may be used for making tasty jams and jellies.